Southwest Florida has so much to offer visiting families from our beautiful beaches and parks to our many wonderful attractions! Here are some family fun things to do while visiting our area. Take the kids or reserve one of our Elite Nannies while you play golf or tennis, have some alone time on the beach, dine out, and more. 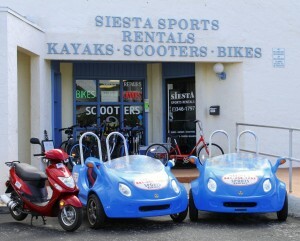 Siesta Sports Rentals located on beautiful Siesta Key Island provides you with hours of fun, whether vacationing or living in Florida, we offer you the opportunity to see Sarasota and Siesta Key, Florida the way it was meant to be seen. 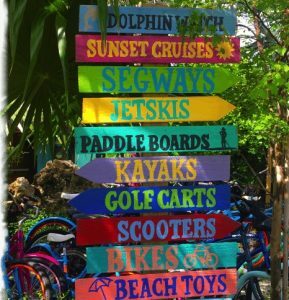 We rent bikes, kayaks, scootercars, motor scooters, boogie boards, snorkels & masks and so much more. Sarasota Jungle Gardens features 10 acres of lush tropical vegetation, winding jungle trails and entertaining, educational bird and reptile shows throughout the day. The “Kiddie Jungle” features a brand new playground. The Flamingo Café serves delicious sandwiches, ice cream and snacks and is open daily from 10:00 a.m. to 5:00 p.m. each day. Our Café has a wide variety of choices. Bounce Down Under is Sarasota’s largest Aussie themed indoor inflatable part and play center. We offer 11,000 square feet of clean, safe, air conditioned, happy and healthy fun for kids up to 13 years of age including our “Jumpin Joey’s” area set aside for the toddlers. Please bring socks. Jumpin Fun is a spectacular indoor trampoline park that serves Bradenton and Sarasota. Fun for the entire family, Jumpin Fun has something for everyone. With over 13,000 square feet of trampoline jumping surface, we have a variety of activities including Open Jump, Kid’s Court, Dodge Ball Court, Foam Pit, Basketball Dunk and Fitness Classes. 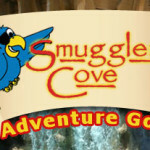 At Miniature Golf Adventure come play the best in Florida Adventure Style Mini Golf amid rushing waters, mysterious caves, and waterfalls on mountainous tropical terrain for a truly unique Florida miniature golf experience! In 1911, John Ringling and his wife, Mable, purchased 20 acres of waterfront property in Sarasota, Florida. Today that investment welcomes visitors from around the globe with fine art, historic mansion, two circus museums, and a jewel-box of a theater. Visit Florida’s sweetest attraction. Voted Florida’s #1 grove destination, Mixon Fruit Farms has been here for over 70 years. Mixons has a large gift shop full of gifts and Florida Souvenirs. We have Florida Wines with sampling daily, honey, dressings, jellies, unique jewelry, and more. Pick up some fresh fruit and juice, orange swirl ice cream and homemade fudge. Ride the Orange Blossom Tram through the grove with a stop at the Wildlife Rescue. Enjoy a delicious meal in the Groveside Cafe. The Steigerwaldt/Jockey Children’s Fountain at Bayfront Park on Sarasota’s bayfront in downtown Sarasota, offers a nice break from the beach and is a fun way for the kids to cool off. Features a great splash water fountain and there is a large playground and picnic area nearby. Children 3 years and younger must wear swim diapers. Summer Hours (Memorial Day – Labor Day) Noon – 7 p.m., Winter Hours (Labor Day to Nov. 25 – Feb. 1 to Memorial Day): 10 a.m. to 5p.m., daily. Closed Easter, July 4th. Free family fun. Sailor Circus now in its sixth decade of operation has grown from a small high school gymnastics class in 1949 to the present spectacular 4 ring youth circus production known worldwide as the Greatest “Little” Show on Earth. Students from the 4th through 12th grades in Sarasota and surrounding counties have an opportunity to experience the performing arts in a circus atmosphere. Our dedicated students practice 20 – 30 hours a week and are trained by volunteer coaches who are retired circus performers, sailor circus alumni and enthusiastic parents. More than 200 volunteers donating over 25,000 hours of their time each season to Sailor Circus demonstrates strong community involvement. Facing the Gulf of Mexico, this quiet, undeveloped sandy beach offers over three acres of beautiful views. 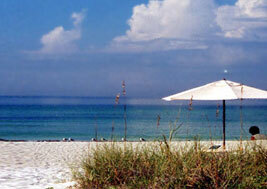 Has over 900 feet of sandy beach on the Gulf of Mexico with access at Gulf Drive (S.R. 789) and 40th Street (S.R. 64) in the city of Holmes Beach. 120 parking places as well as public transportation drop off/ pick up.